SWAN Plumbing, Heating & Air offers professional, full-service plumbing, heating, and air conditioning services to the greater Broomfield, Colorado area. Our licensed and bonded master plumbers and HVAC technicians are industry-certified and focus on providing the best service possible. With nearly five decades of combined experience, we’ve established ourselves as Broomfield's go-to plumbing and HVAC professionals. We are conveniently available seven days a week to take care of any emergencies and all of your plumbing and HVAC needs, so give us a call today! Or, click here to schedule your Broomfield plumbing or HVAC service online. At SWAN Plumbing, Heating & Air, we have the utmost confidence in our technicians and fully back each and every job with a 100 percent satisfaction guarantee. We pride ourselves on delivering quality same-day service with transparent upfront pricing. We firmly believe the only thing worse than bad service is runaway billing, so call SWAN Plumbing, Heating & Air today and you don’t have to worry about either. Winters in Broomfield can be downright cold and difficult to endure, especially with a malfunctioning boiler or furnace. Our experienced Broomfield heating technicians provide top-quality repair and installation services. So, give us a call and keep your home warm and cozy during Colorado’s cold winter nights. Like air conditioners, furnaces require repairs from time to time. Our Broomfield furnace repair professionals have decades of experience repairing all brands and types of furnaces. From worn thermostats and motor failures to worn belts and clogged filters, we can confidently make any furnace repairs. 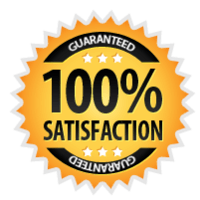 In fact, all of our work is backed by our 100 percent satisfaction guarantee! Gas furnaces have a lifespan of about 18 years. However, according to Energy Star, homeowners who replace their gas furnaces after 15 years can save up to 15 percent or more per year on heating costs. Your home’s furnace may be reaching this age and need replaced, especially if it has required frequent repairs in recent years or you’ve noticed your heating bill going up. If so, contact our Broomfield furnace installation technicians for fast, affordable, and professional furnace replacement services. Well-maintained boilers under 12 years old can usually be repaired by an expert technician. However, if your boiler is older than 12 years or consistently needs repaired, it may be time to consider a replacement. In addition to making any and all boiler repairs, our Broomfield boiler repair and installation experts can help you choose the right boiler for your home and have it running like a dream. If you’re suffering from a problem boiler, give us a call to learn more about boiler systems and have an expert visit your home today! Our professional Broomfield master plumbers are able to tackle jobs both large and small. Whether your bathroom fixtures need updating or your home’s plumbing needs re-piped, we have the knowledge and skill to get the job done. Plus, all of our Broomfield plumbing work is backed by our 100 percent satisfaction guarantee! Hot water is essential for any home, but most homeowners only think about their home’s water heater when something goes wrong. Our experienced Broomfield water heater repair technicians can service, repair, and install all brands of solar, electric, and gas water heaters. If the water heater in your home isn’t working properly, we’ll have it fixed and producing steaming hot water in no time at all. Sump pumps play an integral role in keeping basements dry and safe. If your basement is taking on water or you want to prevent future flooding issues, contact us to learn all about our professional and affordable sump pump installation and repair services. For only $99 (reg. price $199) we will send one of our clean cut, highly trained & qualified, drain cleaning technicians to your home in Broomfield, Colorado and fix any issues you may be facing with drains or sewer line right the 1st time! We offer a full range of drain / sewer line cleaning, drain snake & sewer scope services for all residential Broomfield, CO plumbing customers. The licensed and certified Broomfield AC technicians at SWAN Plumbing, Heating & Air provide a full range of reliable and cost-effective air conditioning maintenance, repair, and installation services. Whether you want to replace your current AC with a more efficient model or simply need a condenser repair, our experienced AC technicians will help keep your home cool and comfortable all summer long. Air conditioners are designed to provide years of trouble-free use. However, even the very best air conditioning systems require regular maintenance and occasional repairs. As Broomfield's leading AC experts, we’ve encountered a number of AC issues over the years, with the most common being frozen coils, low refrigerant levels, sensor problems, damaged compressors, poor drainage, leaky ductwork, and improper maintenance. When it comes to AC issues, we’ve seen them all. If your AC isn’t performing up to snuff, contact us to schedule a service visit today. AC repairs can be costly, but they can also be prevented with proper maintenance. Our professional Broomfield AC maintenance services will ensure your air conditioning system keeps working at maximum efficiency, providing you with lower energy bills, peace of mind, and a consistently cool home. With our extensive 22-point maintenance service, we will clean the condenser, recharge the refrigerant, calibrate the thermostat, replace the filters, and more, resulting in a perfectly tuned AC system that works just like it should. The average AC unit has a maximum lifespan of 20 years. Window units have even shorter lifespans. Therefore, if your home’s air conditioner is over ten years old, it may be time to consider a replacement. Our Broomfield AC installation technicians will help you decide on the best possible model for your home and budget. When properly installed, a newer high-efficiency air conditioner will help shave up to 20 percent off of your home’s heating and cooling costs!